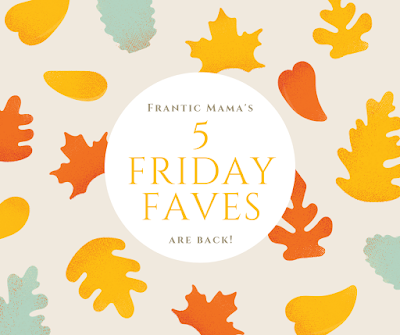 Frantic Mama: Five Friday Faves: It's BACK! Five Friday Faves: It's BACK! One of my favorite series from Frantic Mama was my weekly Five Friday Faves, where I picked a few things/foods/drinks/activities I was loving and shared them with my wonderful readers. That list turned into a bi-weekly one, to seasonal, to...well, it's been a while. Life gets busy, as we all know. But I want to revive the Five Faves this year! It is extremely unlikely (re: not going to happen) that I'll manage a new list every week, but let's hope I can share some faves about once a month. Goals are good, right? So here we go. For the first time in a looooongggg time, may I present you with Frantic Mama's Five Friday Faves: October 2018 Edition! 1. Tone It Up Protein Powder. Did you buy tickets to the gun show yet? Because you better watch out for my killer biceps! Ha. Yeah right. But I have always been a pretty health-conscious person. Maybe a health nut, even. Whatever. I like feeling energized, strong, and active. The thing is, I also need a lot of fuel throughout the day to stay active and energized. You'll never find me without a granola bar on hand. I've been adding more protein to my daily diet, and I even started using protein powder for the first time. 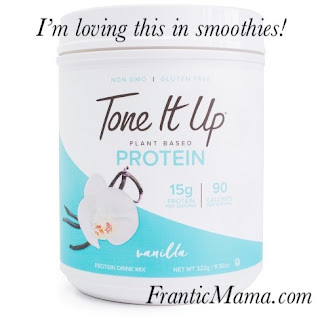 This brand, Tone It Up, is something I noticed at Target on a whim. I always associated protein powder with big dudes who go to gyms (I am neither of those things), but this line is clearly geared towards those of us with two X chromosomes. It also uses pea protein, which I prefer to meat-based or whey protein, and it doesn't have anything artificial in it. I try to mix it into a smoothie a few days a week. Here's my winning recipe: 8 oz. almond, soy, or dairy milk, half a banana, a few strawberries, a few ice cubes, and one scoop of this powder. Throw it all in a blender and voila! A delicious protein shake that also helps get more fruit into my diet. You Do You: a collection of essays from all-female, multi-generational authors, sharing their thoughts on being a girl, raising daughters, or simply being female in today's world. It's funny. It's bittersweet. It's inspiring. Buy your copy today to support the authors. Find it online, in Kindle or Paperback on Amazon, or on iTunes for your iPad. A friend (and longtime Frantic Mama lurker ;)) told me about these pants when I noticed how nice her work slacks always looked. She called them Yoga Pants Work Pants or something like that, and since I speak fluent Yoga Pants, I knew I had to try them out. Indeed. They feature an elastic waistband (hooray! ), and the material is stretchy but substantial and not as casual as workout leggings or yoga pants. I ordered the new bootcut style with pockets, and it was true love! Caution: I'm almost 5'6, and I exchanged the regular length for petite. I don't wear high heels often ever, so I wanted mine to fit with flats. Just a head's up for the under 5'7 set! Those who have been with me for a while know I love me a little home improvement project now and then. Well, the time has finally friggin' come for our dining room makeover! "Makeover" might be a little strong, but I have wanted to repaint the room since we moved in about 7 years ago! 7 YEARS! It's currently bright turquoise. I love turquoise. I just don't want it on my dining room walls. 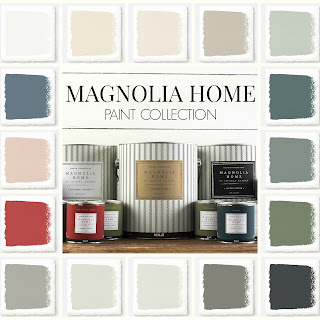 Part of the problem is that Frantic Mama Hubby is a self-admitted commitment-phobe (yes, we dated forever), so agreeing on colors was too hard, and I gave up trying to find one. It's a show both of us actually like (magic!) and we almost always agree on the design and colors Chip and Joanna choose (yes, let's say I'm on a first-name basis with them). 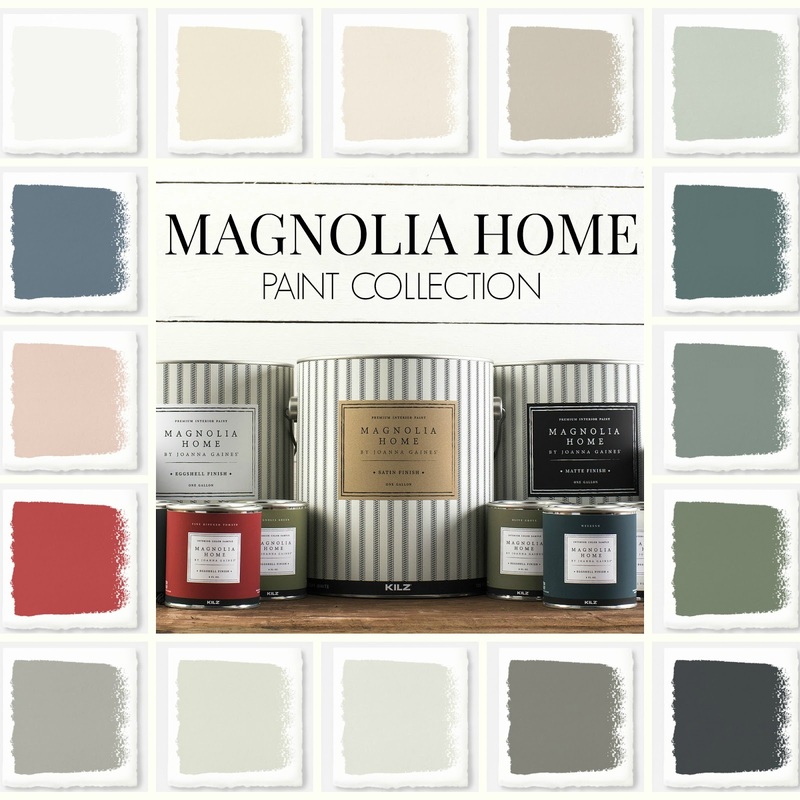 Frantic Mama Hubby TOTALLY SHOCKED me one day recently, when he showed me the color sample he brought home (after nixing all of the taupes I had tried). Do you want to know what color he-- my duck-hunting, sports-obsessed, meat-eating, all-American husband chose? 5. Ketel One Cucumber & Mint. You didn't think I'd leave out a cocktail in my Friday Faves, did you? Heavens no! There's just one teeny, tiny hiccup: I haven't actually tried it yet. This delightful-looking concoction was an impulse buy at the new grocery store in town, and I grabbed a bottle to add to my quickly growing bill. But don't panic. Don't worry one little bit, folks. I will do my due diligence and give it a try tonight! What's on your fave list these days? Do tell! I love trying new things, and if I love yours, I'll try to feature it in a future list. P.S. 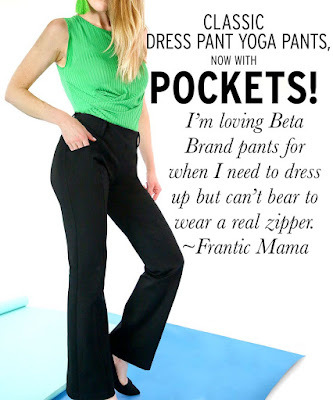 Want to help spread the word about Frantic Mama? Try sharing this post on Facebook, Pinterest, or Twitter. Or leave a comment. Or, just find me and like me on Facebook. All of these feed the deep dark emptiness in my soul.